Below you can view all the homes for sale in the Indian Hills subdivision located in Marietta Georgia. Listings in Indian Hills are updated daily from data we receive from the Atlanta multiple listing service. To learn more about any of these homes or to receive custom notifications when a new property is listed for sale in Indian Hills, give us a call at 404-998-4102. Home Is Leased, Prior Notice Required To View Home. MLS#6536643. Homeland Real Estate Services. Located Within East Side, Dickerson And Walton School District! MLS#6535360. Prime South Real Estate, Llc..
Wintertime Views Of Golf Course | Gorgeous New Kitchen Opens To New Family Room | Walk In Pantry | Large Island W/Seating | Thermador Stainless Steel Appliances | New Lighting | New Hardwood Floors Throughout | New Windows | 2 New Hvacs | New Roof, Guttes&Hardiplank Siding | Spacious New Master Suite W/Sitting Room&Walk-In Closet | Master Bath W/Fabulous Shower&Modern Soaking Tub | Laundry Up | Screened Porch&New Deck W/Stairs To By | Finished Terrace | New Drive Way! MLS#6532019. Bankston Brokers, Llc..
Barn Doors Throughout, Beautiful Kitchen W/White Cabinets, Pot Filler, Stainless Steel Appliances, Light Color Granite C'Top W/Glass Subway Tile Backsplash, Gorgeous Light Fixtures, 2 Master Bedrooms, Rustic Accent Wall, Tile Shower W/Glass Sliding Barn Door, Free-Standing Tub, Spacious Laundry Room W/Sink, Epoxy Painted Garage Floor, New Garage Door, Exterior All New Brick, New Deck & Sod. MLS#6531102. Harry Norman Realtors. Beautiful Hardwoods Throughout The Main Open Floor Plan. Newer Hvac Systems. MLS#6530891. Drake Realty, Inc. Beautifully Updated 5 Bed / 4 Bath Indian Hills Home * .5 Acre Private Lot * Circular Driveway * * Large Formals * Hardwood Floors * Fireside Living Room * Newly Remodeled Chef'S Kitchen * Granite Counters * Stainless Appliances * Wine Cooler * Built-In Desk * Family Room * Owner'S Suite * Adjoining Sitting Room/Office * Private Bath * His/Hers Walk-In Closets * Walk-Out Daylight Basement * Wet Bar * Full Bathroom * Bedroom * Laundry Room * Tons Of Storage In Attic * Deck * Patio * Outdoor Fireplace * Optional Hoa With Swim & Tennis * Walton School Cluster MLS#6530556. Exp Realty, Llc.. Incredible Fenced Backyard W/ Pebbletrc Pool, Stone Patios & Pergola. MLS#6529438. Dorsey Alston Realtors. Quiet Cul-De-Sac Street. Wheeler Hs. Great Home! MLS#6528118. Atlanta Communities. Option To Join The Indian Hills Country Club! MLS#6528184. Keller Williams Realty Intown Atl. Flat Grassy Private Backyard Hard To Find In Ih! Super School Cluster: East Side/Dickerson/Walton. MLS#6527031. Atlanta Communities. Loft-Feel Terrace Level With Lvp Flooring, Hip Paint, Plenty Of Room For Play And Storage Plus A Dog-Wash! Flat Fully Fenced Bkyrd. MLS#6525745. Atlanta Communities. Enjoy Park- Like Setting- Private Backyard-Brick Patio! MLS#6525592. Charlotte Lecroy Realty. Every Room In The House Overlooks Gunite Pool W/ Very Private Back Yard. MLS#6525514. Keller Williams Rlty, First Atlanta. Excellent Builder W/ Close Attention To High-End Finishes. MLS#6523829. Atlanta Fine Homes Sothebys International. 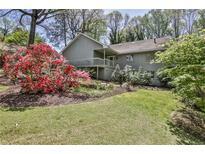 Expansive Backyard W/Tons Of Potential.Newer Windows.Top Dickerson/Walton School District. MLS#6523500. Ansley Atlanta Real Estate-Atlanta North. Main Level Deck Or Lower Level Screened Patio Are Perfect Places To Soak In Those Gorgeous Views! MLS#6522708. Keller Williams Realty Atl North. Spacious Level Backyard W/Unlimited Possibilities For Design & Use. MLS#6522080. Atlanta Communities. Level Back-Yard With Beautiful Golf Views. Walton/Eastside Schools. MLS#6522221. Re/Max Advanced. Hurry, This Home Is Now Offered Below Appraisal! MLS#6517222. Keller Williams Rlty, First Atlanta. Wonderful East Cobb Schools - East Side Elementary, Dickerson Middle, & Walton High! Don'T Miss Out! MLS#6520297. Keller Williams Realty Atl North. Owner'S Suite With Sitting Area And Dual Large Closers And Beautiful Bathroom. MLS#6517255. Capital Marketing Group, Inc.. This Could Be Your Forever Home And Who Would Want To Leave These Amazing Views! MLS#6516006. Keller Williams Realty Atl North. Super Backyard Can Accommodate A Pool. MLS#6512507. Keller Williams Realty Atl North. If You Are Ready To By Now, You Must See! ! MLS#6512477. Keller Williams Realty Atl North. Finished Photos Represent Another Very Similar Home We Completed Last October In Ih. MLS#8534664. Keller Williams Rlty-Atl.North.